I'm convinced - the longer the hair, the harder it is to put into the perfect bun. Do you agree? Pulling inspiration from Diane von Furstenberg's F/W 14 show, where the runway models sported some high, messy buns, I decided to give it a go and try out the style for myself - even with my long(ish) tresses. 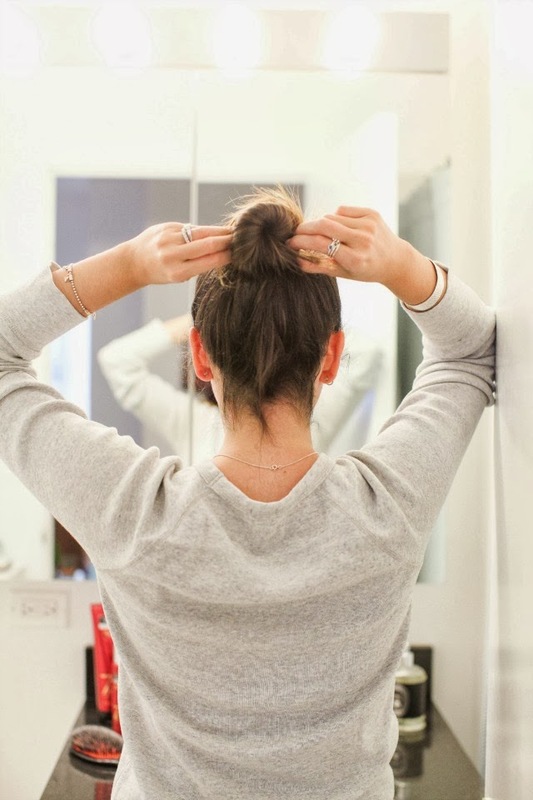 The bun is the answer to all women's prayers for an easy, on-the-go style that still looks chic and young. The bun is also the way to go during the hectic weeks of NYFW (or LFW, PFW, etc) - when you're running from meetings to shows to drinks to dinner. Am I right or am I right? 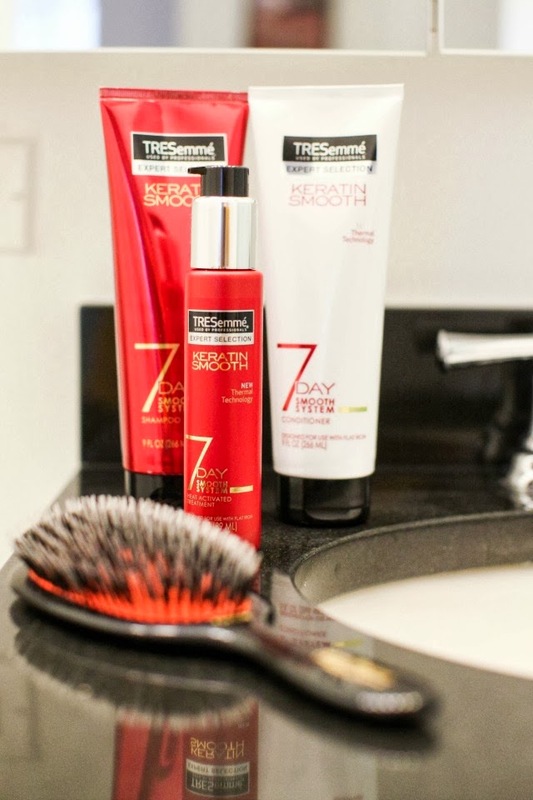 With the help of TRESemmé's new line of Keratin Smooth 7 Day products (shampoo, conditioner, and heat activated treatment) I was able to recreate the bun I love oh so much for a busy day of running errands. And let me tell you, these products are the bomb. They smell oh so good and totally get the job done. So now tell me - what's your go-to hairstyle when you're on the go? Disclosure: Compensation was provided by Tresemmé via Glam Media. The opinions expressed herein are those of the author and are not indicative of the opinions or positions of Tresemmé. WIsh my buns could look so chic! Will have to try those products. 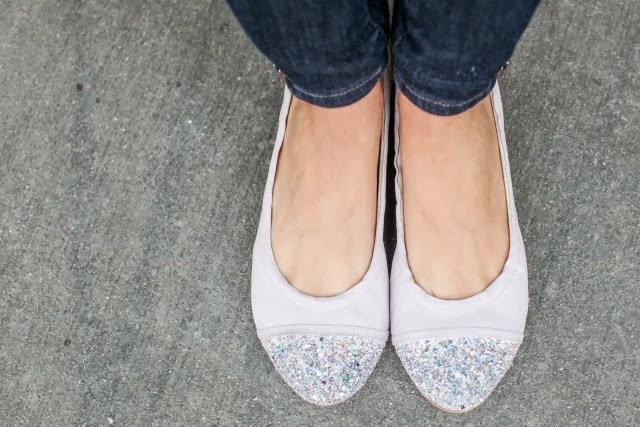 Cute flats too! Your hair looks adorable like that! P.s. Loving the SS x MB shoesies. FABULOUS bun! Must try! You look fabulous!! you look so cute and I love your shoes!! yeay for the S+S collab.! You girl look so simple but beautiful and stylish. I like this style when we go to the street. I agree! I have long hair and it is difficult to put it in a perfect bun. I like your outfit and those flats, very relaxed.